The Saginaw County Road Commission in Michigan uses Esri ArcGIS to help track the county's snowplow fleet. With a fleet of 40 snowplows working to keep the roads clear in an area that sees an average of 40 inches of snowfall per year, Saginaw County, Michigan, needs to make snowplow operations as efficient as possible. The Saginaw County Road Commission does it with CompassCom AVL, an automatic vehicle location (AVL) system that incorporates Esri ArcGIS for tracking the county's snowplow fleet. CompassCom, based in Centennial, Colorado, makes AVL and mobile resource management solutions and is an Esri partner. CompassCom's devices integrate GPS, Esri ArcGIS, and wireless technology into a flexible, end-to-end solution. CompassCom's AVL system gives managers in the office and supervisors in the field the ability to remotely monitor and manage the snowplows to ensure each vehicle follows an optimal route. Using the Esri ArcGIS technology in the system, they can see on a digital map where the plows are located in real time. 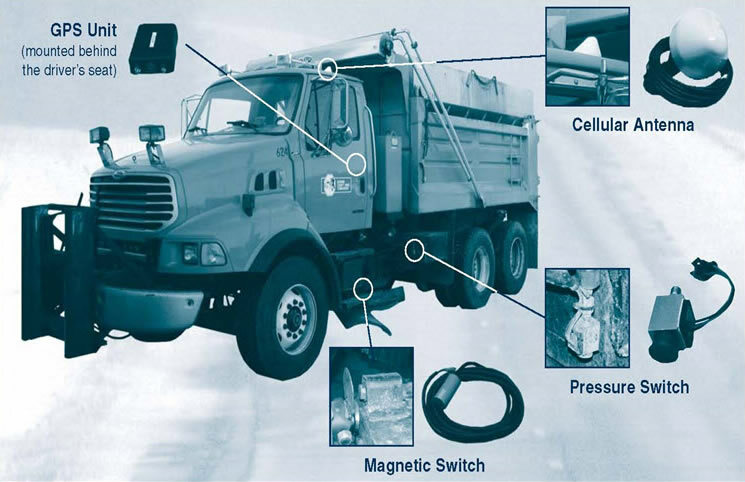 According to CompassCom, the AVL system can help control fuel costs; increase safety; and reduce the amount of salt, brine, and other materials put down on roads. Over the years, winter maintenance put a big dent in Saginaw County's winter budget, which is why the road commission managers adopted the CompassCom AVL. "This solution by no means removed the significant budgetary impact of winter maintenance," said Thomas Luck, information technology manager for Saginaw County Road Commission. "But it has most definitely created efficiencies allowing us to put more money toward fighting storms and keeping equipment running." That's important in a part of Michigan blasted by harsh winter weather. 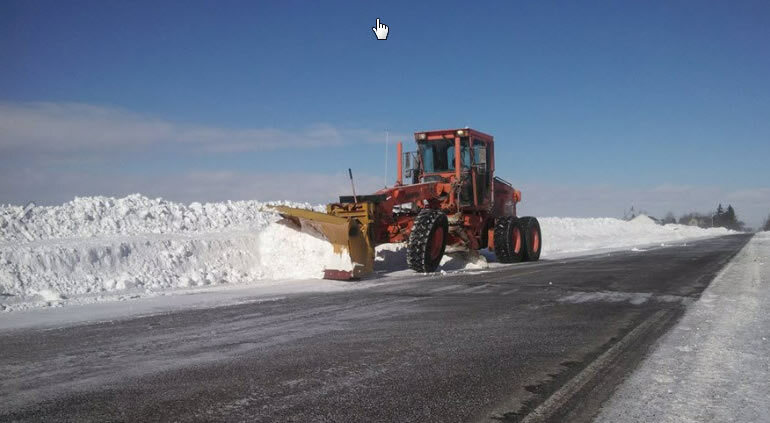 "This year, we had close to 60 inches [of snow] with drifts 10 to 12 feet high in some windblown areas," said Paul Gohs, District 3 maintenance foreman for the county road commission. "We really got our butts kicked between the cold, wind, and snow." Luck recalled that snowplowing operations were "pretty low-tech" when he was hired 10 years ago. "Snow crews, foremen, and office personnel used two-way radios and personal cell phones to track snowplowing," he said. In 2002, staff began researching AVL systems to evaluate the locations and operational status of vehicles and drivers. "CompassCom had the ability to integrate with our spreader controllers—devices that regulate salt usage," explained Luck. Also decisive in the decision to choose CompassCom: the ability to host CompassCom software on the county's internal IT system, he said. A GPS unit is one of several components of the CompassCOM AVL, an automatic vehicle location system. According to Luck, CompassCom's use of Esri software was also a factor during initial discussions. "We were already running Esri products in-house at that time," he said. 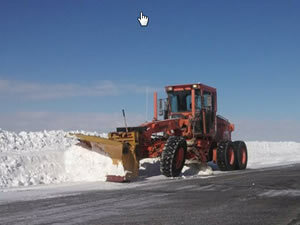 A CompassCom pilot program, launched in 2007, involved five snowplows. Each had sensors indicating whether a spreader was being used. After several months of success, the district decided to deploy the CompassCom product fleet-wide. Today, working with business partners including Esri, Trimble Navigation, and CalAmp, CompassCom customers such as Saginaw County manage more than 100,000 mobile assets, enabling users to get the right resource to the right place at the right time, according to Brant Howard, CompassCom founder and CEO. "Snow fighting is a $5 billion industry when you consider the equipment, materials, and man-hours," Howard said. "CompassCom works hard to make sure our clients are working in the most efficient, safest way possible to keep our transportation networks open, operational, and ready for commerce." CompassTrac—Powered by Esri ArcGIS technology, it displays the location and status of vehicles in real time on a digital map. CompassLDE—The Location Data Engine (LDE) collects vehicle location, status, and messaging data for multiple fleets or high-value assets over different wireless communication networks simultaneously. It is completely scalable, so as vehicles with more bandwidth are added, LDE keeps up seamlessly. A little black box, slightly larger than a cigarette pack and installed under the dashboard or inside the cab, collects and stores telemetry data. This may include data from a GPS unit to provide geographic position within about three feet as well as from power (ignition on or off), plow position (up or down), and spreader (on or off) sensors; the amount of salt being spread; and other information. "The sky's the limit," said Luck. Each snowplow automatically transmits its telemetry data to the commission's data center, where administrative personnel can monitor the entire fleet in real time. The real-time information can be viewed via employees' personal computers or on LCD screens located in the commission lobby and conference room. Each foreman oversees snowplow work in one of four county districts, while superintendents can view activity countywide on their screen. Does this mean the snowplow drivers have little or nothing to do? "Hardly," said Luck. "They still have a difficult task of operating all the sophisticated controls while navigating traffic in the harsh winter elements." The purpose of the remote monitoring is to allow foremen in the field and managers to reduce the amount of salt, brine, and other materials put down on roads and ensure each vehicle operates in the most efficient location, said Gohs. "It gives us an idea of what's going on out there," he said. "I can see the whole thing on my Panasonic laptop." Saginaw County plans to use the AVL system to schedule preventive maintenance (PM) on its snowplow equipment, said Luck. Odometer and engine hour data will be fed into the fleet management system to automate PM tasks. "We have not implemented it yet but hope to soon," he said. The public also can view snowplowing progress during a storm using the Saginaw County Road Commission's Plow Locator, also powered by Esri ArcGIS. Data center staff used ArcGIS for Server and ArcGIS Online to create a portal offering real-time map displays of plowing data. This way, people can be assured the county is on top of the storm. Updated every 10 hours, the map allows residents to zoom in to their specific neighborhoods and streets and follow the route of snowplows. "People can check on laptops, smartphones, or desktops whether a road is open or impassable, which are the primary roads we plan to clear first, and whether plow blades are up or down," said Luck. Using Esri maps in real time also allows the road commission to address public concerns such as snow being thrown onto properties and whether county regulations and policies are being followed. "We strive to be completely transparent with the public," Luck said.